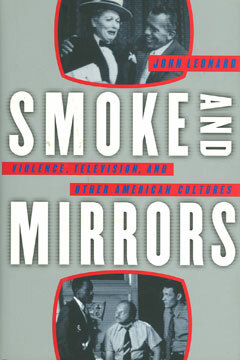 In Smoke and Mirrors, John Leonard, one of the nation’s leading media critics, offers a provocative challenge to conventional ideas about television. Instead of scapegoating television as the cause of crime in our streets, stupidity in our schools, and spectacle rather than substance in our government, Leonard sees something else inside the box: an echo chamber and a feedback loop, a medium neither wholly innocent of, nor entirely responsible for, the frantic disorder it brings to our homes. Taking on topics from kid shows to cable, from the cheap thrills of action adventures to the solemn boredom of pledge drives, Leonard argues for a whole new way of thinking about television.